Everwylde, an all-new paranormal romance from Donna Grant is Out Now! Strong-willed and cunning, Ravyn was taken in as a child by a group of witch Hunters who raised her to be the best of the best. When she receives word that the witch who murdered her mother and ripped apart her world is nearby, Ravyn begins her hunt. In her quest to locate the witch, she finds her hunt impeded again and again by a gorgeous and powerful man. But she won’t be denied and intends to do whatever is necessary to complete her assignment. But the Coven is more dangerous than ever, and Ravyn may not be enough to thwart their latest endeavor. Despite his bravery, Sir Carac is content to spend his days in the tavern when he’s not leading his men. But when a skirmish breaks out that threatens the marquis’ precious holdings, Carac is sent to the front lines to head off the attack. He suddenly finds his mission changed after he's approached by the most spirited and beautiful woman he has ever seen. But trust doesn’t come easily to the spitfire, and his loyalties make it hard to do anything but follow orders. It’s soon apparent that priceless antiquities are only the beginning of what they’re fighting for―and what they stand to lose. Donna Grant is one of my favorite Paranormal Romance authors and she has just wrapped herself a little more tightly around my heart with her Kindred books. I love this world of witches and hunters, the magic that Donna weaves, the world she has created, and the characters that she gives us. I love how strong her characters are, both male and female, especially the females. I adore that she is writing these strong women who know exactly what they want and are not afraid to get it, who are not afraid to tell the men in their lives what they expect and won't take any emo alpha male crap. On the other hand I adore her alpha males. Try as they might they do have to give in a times to the women that they love but they are still the fierce protectors that we expect to get from Donna Grant. 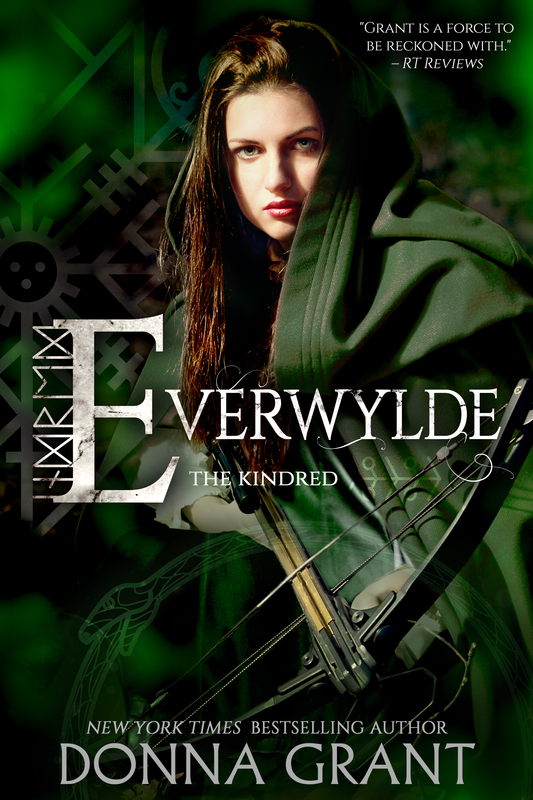 Everwylde revolves around the characters of Ravyn and Carac. Ravyn is on a mission of retribution against the witch that took everything from her. Her faith in the world gone she has turned into a formidable witch hunter, one who's fiery spirit leads her and is both a blessing and a curse when it comes to battle. She can be impulsive and fierce in battle but when it comes to the world outside of training and battle she is closed off and afraid. Carac, a seasoned warrior himself, is a bit of a rouge, perhaps even a tad rakish, but when this spitfire comes across his path everything changes for him and he is the one man who is not only strong enough to stand beside Ravyn, he is patient and compassionate enough to give her the time and love that she needs to stop being afraid of relationships and of the future. As often happens in Paranormal Romances this is a bit of insta-love, but neither character is new to the 'romance world' so the fact that they would fall for one or more precisely 'into' one another as quickly as the do is not implausible. Sometimes insta-loves can rub a reader the wrong way because it just doesn't make any sense but Donna is a pro at making everything believable and even if her characters know that love is there she still gives them enough to battle emotionally that they end up working hard for their relationships. I love the pace of these stories, I think that Donna does an amazing job building worlds and giving us enough action interspersed with romance and emotion. In the end these are love stories, but they are full of intrigue, a bit of mystery, (which if you have read Donna's Dark King series you know is almost a trademark at this point for her...she can drag out a mystery like no author I have ever read and keep you on your set and wanting more and more) tons of romantic and platonic emotion. Like many of her series one of my favorite things is the idea that while all of these relationships aren't a blood bond in terms of family, they are all family none the less. 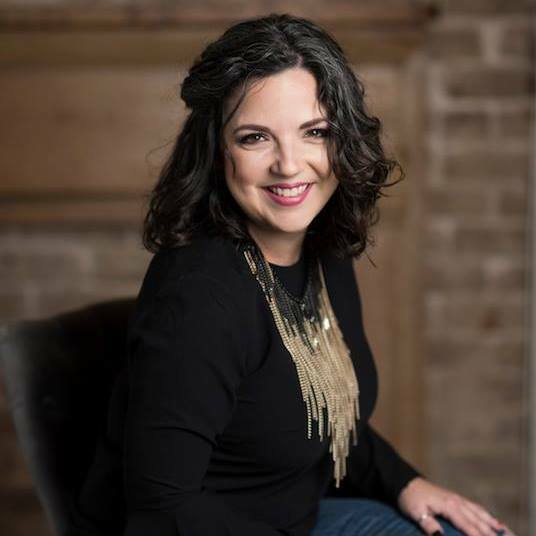 Donna's book are a reminder that family comes in many different forms and some of your most wonderful family members aren't ones that you can trace through your ancestry. I don't feel like you HAVE to have read book one or the novella before picking up Everwylde but of course I do think you will want to in the end. It is nice to have the back story but Donna does a good job of filling in any missing holes so technically you could read this as a standalone. As the series continues and things get a little more complicated I don't know if that will remain true so as always I would say start at book one. If you are looking for a great new paranormal romance read from a trusted author in the genre do not hesitate to pick up a Donna Grant book. She may frustrate you a time or two (as most authors do, haha) but she will have you coming back for more after every book! The Fidelity World - Launch!